Volume 4, Edition 41 Trouble loading? View this email online. 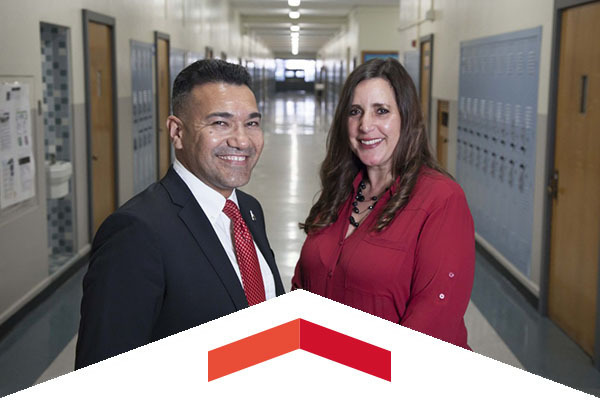 CSUN alumni Patrizia Puccio and Gonsalo Garay have remained good friends since their Reseda High School days, and today they are in leadership positions within Los Angeles Unified School District, helping shape tomorrow’s success stories. Track & field coaches Avery and Bridget Anderson did a balancing act with coaching, family and school, though they recently received a great reward when they graduated from CSUN with their Master of Public Administration degrees. 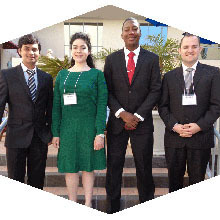 A team of CSUN graduate students took second place in their division at an international business competition that showcased their grasp of business ethics. Thur, June 8, 4 p.m. The inaugural San Fernando Valley Award for Fiction Reception will honor Antoine Wilson, author of Panorama City. Thur, June 15, 5:30 p.m. The weekly movie fest kicks off June 15 with the box office hit The LEGO Batman Movie and will go through Aug. 31. This free event, which will be held Thursday evenings on the Oviatt Lawn, is open to the public and will feature a variety of food trucks. Get your single tickets for the upcoming 2017-18 VPAC season, Music Knows No Borders. The former Matador head baseball coach and athletic director is helping fund improvements for the program he led to two national championships. The CSUN Sports Network recently sat down with new men’s basketball transfer Kobe Paras, who answered several questions prior to meeting the media for the first time as a Matador. Last call to get tickets to watch the Moody Blues perform live at the Hollywood Bowl, which will conclude with fireworks at the end. Join CSUN alumni for a pre-concert picnic before the fun starts. CSUN Baseball saw five student-athletes named to the All-Big West Conference team. Albee Weiss and Alvaro Rubalcaba earned second team honors, while Connor O’Neil, Dylan Alexander and Nolan Bumstead received honorable mention.